You are here: Home / Family & Traditions / Let’s hear it for Sweden! Let’s hear it for Sweden! CLEW takes a closer look at national days around the world. How and why are they celebrated? And we throw in a recipe or two from that country for you to try. The first country is Sweden, by Lisa Fuchs. If you ever find yourself visiting Stockholm, the beautiful capital of Sweden, you absolutely must take a few hours to also visit the amazing Skansen – Sweden’s oldest open air museum (and animal park). Skansen is right in the middle of Stockholm, on the island of Djurgården, and offers a variation of traditional events all through the year. So why do I mention this today? Well, Skansen also happens to be the birthplace of the Swedish national day! Gustav Vasa was elected king, pretty long ago – on the 6th of June 1523. This put an official end to the Kalmar union and the Danish dominance of that same union, which had upset a lot of Swedes. Put it this way – the Danish king at the time went under the name “Christian the Tyrant” in Sweden. On the 6th of June in 1809, the Swedish government signed the “Instrument of Government” – basically a new set of rules on “the how and the who” when it came to running the country, and even more importantly – the general rights of the Swedish citizens like freedom of speech. The day on Skansen was obviously a success, since it continued year after year. 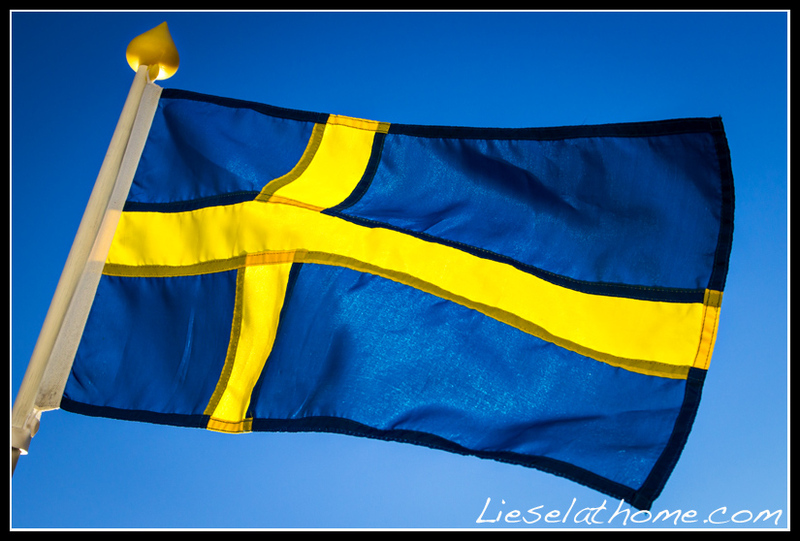 It was actually just called “Svenska Flaggans Dag”(The day of the Swedish flag) until 1983, when it was changed to be “Nationaldagen” (the National Day). In 2005, Sweden turned it up another notch and declared it a national bank holiday. These days, celebrations take place all over the country in different forms, but the big, official, television broadcasted festivity – the one that the royal family attends – is still happening on Skansen, the very birthplace of the tradition. As far as I know, there is no special food connected to this day, but to somehow acknowledge the three Swedish passports in my family, I’m going to make the most down to earth and simple meal, very common in every Swedish household. 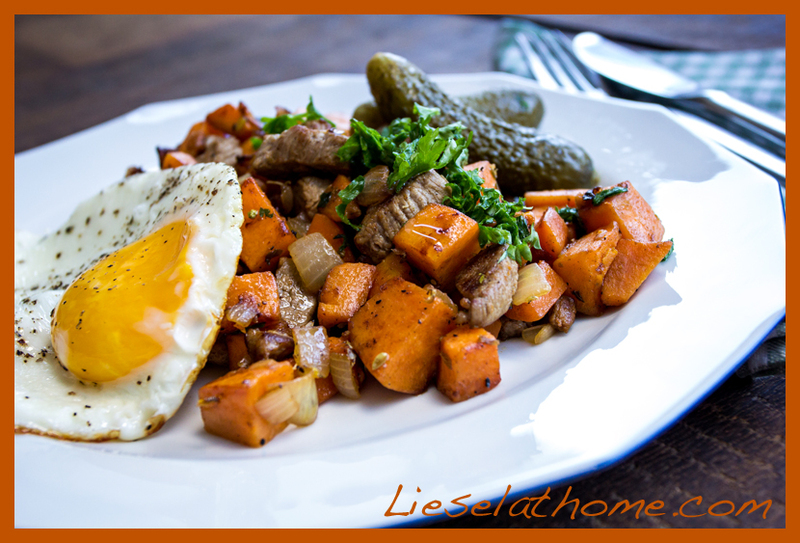 It’s called “pyttipanna” and means basically “leftovers – fried in a pan”. No wonder this dish is also playfully called “hänt i veckan” (happenings of the past week). It consists of onions, potatoes (I use sweet potatoes), any vegetable you might have (in my case carrots) and some left over meat and/or sausages. Cut everything into cubes, and fry in a pan until (the potatoes are) done. Spice with parsley, pepper and salt, and serve with fried egg and pickled beetroot or cucumber. And then on to dessert. Blueberries remind me of my childhood summers, when we spent whole days picking berries until our hands, knees and lips were purple. Those were the days! The typical Swedish “smulpaj” (crumble) is made with seasonal berries or fruit that are covered with crumbly dough made of butter, flour, sugar and sometimes oatmeal or chopped nuts. It’s baked in the oven and served lukewarm with whipped cream, vanilla sauce or vanilla ice cream. 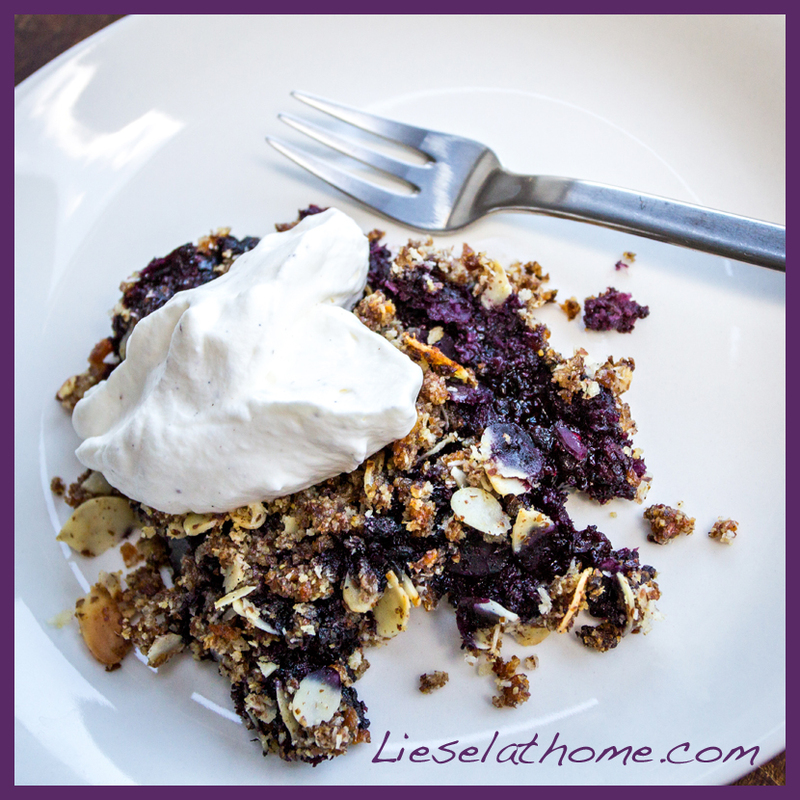 In my family though – being gluten free – we make another version of this and you can find it at lieselathome.com where I call the recipe “the hunt for the perfect blueberry crumble”. Hope you will join in today, making pyttipanna and smulpaj, and start your meal with a “smaklig måltid!” (enjoy your meal! ).